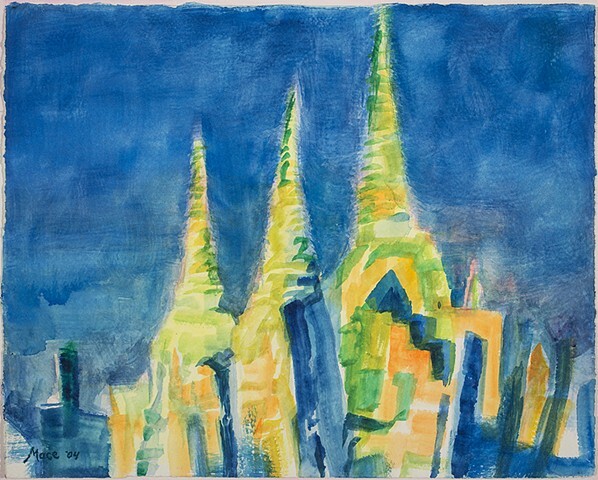 This watercolor sketch was painted as night fell, just after the temple lights illuminated the chedis. Day turns to night very quickly this close to the Equator. Time speeds up and it's too dark to see and you have to use a little flashlight.